Yes, my daughter is an angel. She takes me to the movies every week. And she treats me like I'm 10, but that's okay, because, ya know - I think sometimes that's how old I act now! 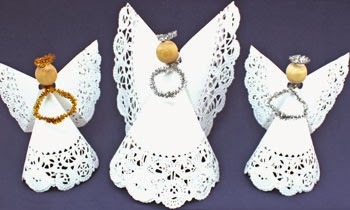 It's the holiday season and some of the seniors I work with have wonderful families who care for them and visit them regularly, but some either have no living families or have relatives who are grateful they are in the home and not with them....So today we made angels. Some could not manipulate the materials to make their very own angel as pictured on this page, but a few could. They wanted to put the angel on their dresser in their room. A few murmured how beautiful. And some were satisfied for me to make the angel for them, describing the process as I worked. I always experience the gamut of emotions as I drive home after working with seniors. This past Friday I realized that I need to take the time to think of the angels in my life. Slow down, sip a cup of something warm and satisfying, and take a few deep breaths. The holidays should be fun and relaxing. Who are the angels in YOUR life? 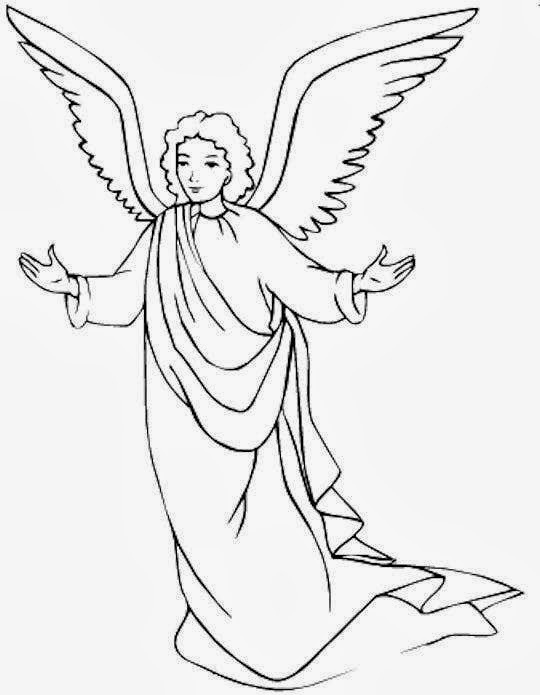 Try coloring the angel below or draw your own angel. Art is healing and a must in everyone's life. Thinking positive thoughts precludes having negative ones seep in....Have a wonderful and restful week!